Wow! This site got a mention at TrekMovie.com.. thanks to the Doctor and the Enterprise which is hosted here. I’ve been reading the crossover IDW released, called Star Trek / Doctor Who Assimilation 2.. My thoughts are quite simple really, for the most it’s a good read, it’s the first such official crossover, however the ending is a let down to me when you consider what the Doctor says at the end and Guinan’s comments about the normal flow of time being disturbed in issue 4 are never followed through. So the Doctor says the 4th Doctor’s encounter with Captain Kirk will not have happened, but there’s no reason for this since they didn’t go back in time to prevent their encounter with the Cybermen in the first place… So it looks like it was hastily written.. or the writer wasn’t too clear on what was going on. “Amazing Grace” is the name of the Incredible Hulk Annual 12 (vol 2). Writer: J. Michael Straczynski (JMS), Artist: Jesus Saiz, Colorist: Brian Miller, Letterer: Rob Leigh, Cover artist: Jesus Saiz. 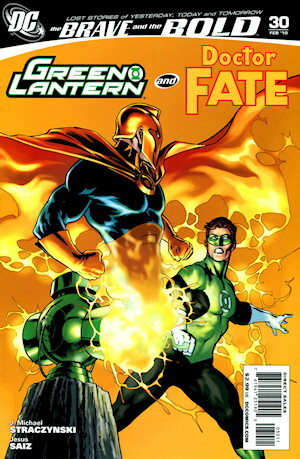 Published by DC Comics in 2009.